Yes, yes, yes, you are very busy. That's why you meet deadlines at the last minute. Or after. That's why you cruise into meetings 15 minutes late. It's why you forget details or schedule two tasks for the same time or have 500 unanswered emails in your inbox. It's why you can never take a vacation, or even a full weekend off. Or is it ? Maybe poor time management is simply a bad habit. Maybe you can learn to organize and control your time better. Because let's face it, time management is really self management. 1) Obvious tip one : Make a to-do list (electronic or paper). Put the most important item first and work down from there. 2) Obvious tip two : At the end of your day, review what you've done and make a new list for the next day. In order of importance. 3) Be ruthless about setting priorities. Make sure that what you think is important is really important. 4) Learn to differentiate between the important and the urgent. What's important is not always urgent. What's urgent is not always important. 5) Carry your to-do list with you at all times. 6) All things being equal, do the hardest, least fun thing first. Just get it over with ! 7) If a task takes less than five minutes, do it right away. If it takes longer, put it on the list. 8) Deal with e-mail at set times each day, if possible. 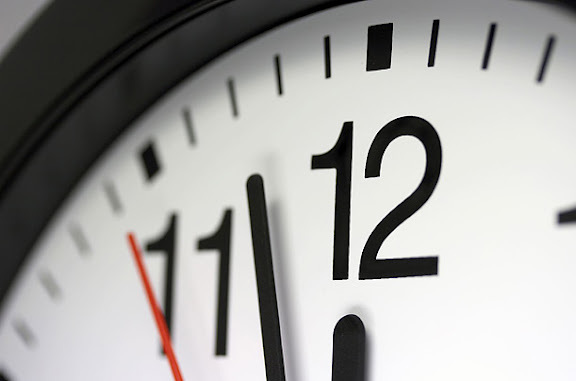 If you need to check messages as they arrive, limit your sessions to less than five minutes. 9) Schedule some uninterrupted time each day when you can concentrate on important tasks, even if you have to take refuge in a conference room or at the library. 10) Another approach: Before you check your e-mail or voice mail or get involved in the minutiae of the day, devote a solid hour to your most important project. 11) For a couple of days, take an inventory of how you spend your time to find out where and how you're wasting it. 12) Eliminate the time wasters (e.g., if personal phone calls are taking up too much space in your workday, turn off your cell). 13) Cut big jobs into small chunks. Order the chunks by importance. Work on one chunk at a time. 14) For big, complex tasks, schedule wiggle room. Projects tend to take longer than you think/hope. Give yourself a buffer. 15) If part of your day involves routine repetitive tasks, keep records of how long they take and then try to do them faster. 16) Go one step further and set specific time limits for routine tasks. Work tends to fill whatever amount of time you happen to have. 17) Establish smart efficient systems for all your tasks, big and small, and stick to them. 18) Value your time. People who wander into your workspace to chat do not respect you or your schedule. Set boundaries. 19) When and where you can, say no. Trying to do everything everyone asks you to do is a recipe for failure. 20) In general, guard against overscheduling yourself. 21) Bottom line to items 19 and 20: Learn to delegate, wherever and whenever you can. 22) Aim to handle pieces of paper only once. Same for e-mails. Read 'em and deal with 'em. 23) Reward yourself for completing tasks on time. No fun stuff until the work stuff is done. 24) Organize and declutter your workspace so you don't waste time looking for things. 25) Schedule demanding tasks for that part of your day when you're at your peak. 26) Group related tasks (e.g., sort papers on your desk and then file them). It's more efficient. 27) Use down time (e.g., waiting for meetings to begin) to, for example, update your to-do list or answer e-mails. 28) This advice applies to life outside work, too. It's better to be excellent at a few things than average at many. 29) Don't be afraid to get projects done early. It takes them off your mind, and it doesn't mean you'll just be given more to do. 30) Create the business environment that works for you. Adjust the lighting, turn off your e-mail pinger, get that cup of tea. Set the stage and get to work. Karen Burns is the author of the illustrated career advice book The Amazing Adventures of Working Girl : Real-Life Career Advice You Can Actually Use published by Running Press. She blogs at www.karenburnsworkinggirl.com.